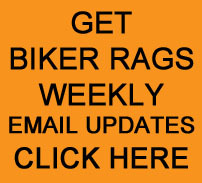 On May 13, 2009 Jeff and I logged our first “official” Day Ride post on our Biker Rags website. Here is that post…. After gassing up mid morning in North Knoxville, we took off down North 33 then turned right and headed Northeast. With no specific route in mind, we traveled the back roads enjoying the scenery and gentle curves so typical of East Tennessee. On the back road heading toward Blaine. About an hour into the ride we stopped at Breeding’s Restaurant in Blaine for lunch. Breeding’s is an old country diner with family atmosphere and great food. Breeding’s Restaurant in Blaine, TN. After lunch we headed on down the road ending up on Route 92, eventually stopping at Cherokee Dam. Then we rode through Jefferson City and headed toward Dandridge. After leaving Dandridge, we headed toward Chestnut Hill. At Chestnut Hill, we stopped at Bush’s Bean Factory and noticed a couple of cows had walked across the pasture to see what we were doing. These kids are enjoying the day too. We spoke to them a few minutes, exchanged phone numbers and headed on down the road. We took 411 toward Sevierville. After fighting the traffic on 66 we stopped at Pilot on Boyd’s Creek to refuel and get a drink. We rode Boyd’s Creek to Chapman Highway heading back to Knoxville. We rode downtown, through Gay Street, the Old City and down Central heading home. The ride was about 110 miles on a beautiful sunny afternoon in East Tennessee. It doesn’t get any better than this! See our entire list of Day Ride’s by CLICKING HERE.